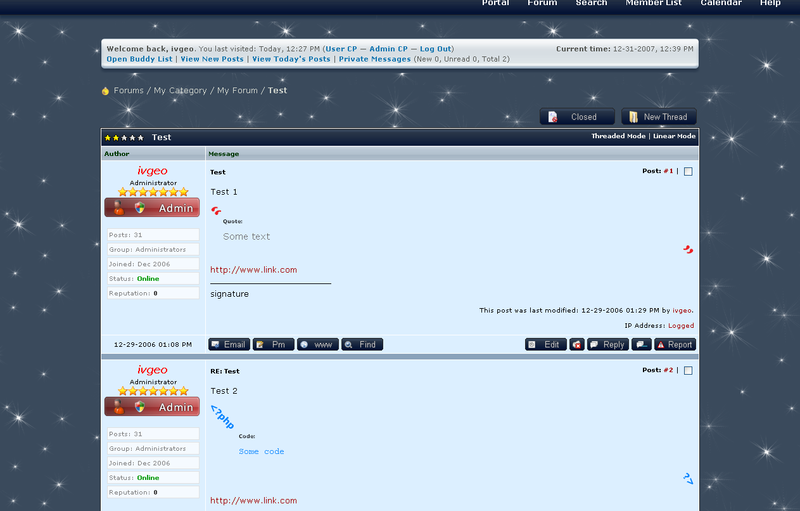 The Winter Theme for myBB 1.4 is a winter theme with snow and stuff. It can be used as a Christmas theme. This entry was posted in MyBB, Slides and Work and tagged dark blue, snow and winter. Bookmark the permalink. Both comments and trackbacks are closed..